Participate in the Read to Me Challenge! What’s the Read to Me Challenge? Everyone has a child to read to whether you’re a parent, grandparent, aunt, uncle, sibling, neighbor or friend. Read to a child in your life for 15 minutes a day for 21 days. Hey, kids! Make the challenge! Hey, adults! Take the challenge! “Read to a child in your life for 15 minutes a day for 21 days and change a life forever. 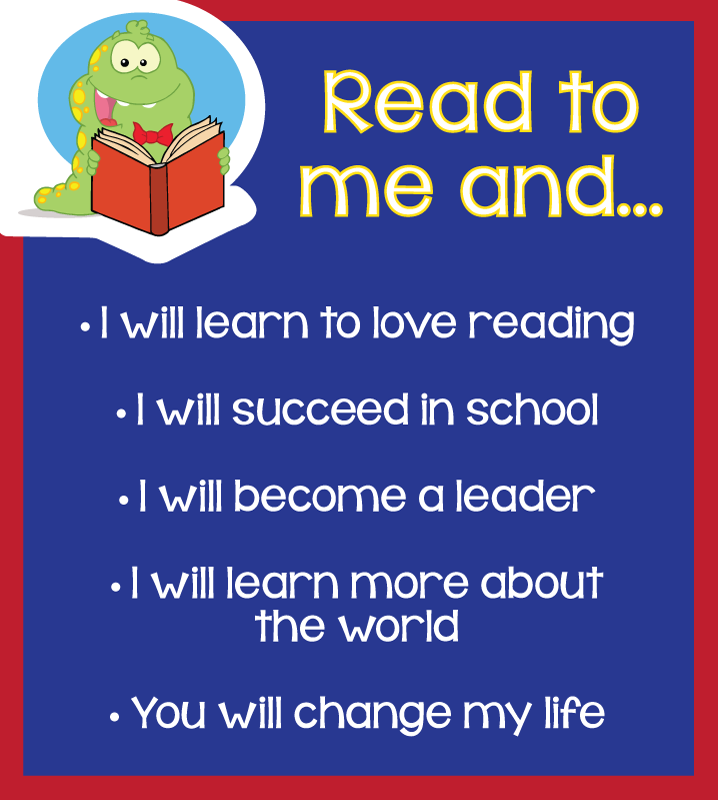 Take the Read to Me Challenge pledge! Use the calendar to keep track of your progress. Download the pledge and calendar here! Congratulations! After completing the Read to Me Challenge, download your certificate here! If you’re a bonus reader and read for 28 days, download your bonus certificate here!